Home / HP / Laserjet / HP Laserjet Pro MFP M125 series / CF283A Compat – Guaranteed Compatible HP CF283A Toner Cartridge – delivered FAST & FREE! CF283A Compat – Guaranteed Compatible HP CF283A Toner Cartridge – delivered FAST & FREE! 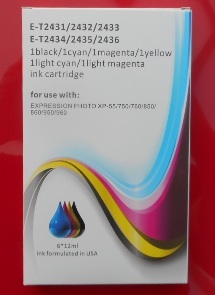 Great print quality and reliability at a low price. Quoted page yield 1500 x A4 based on 5% toner coverage per page. You're viewing: CF283A Compat – Guaranteed Compatible HP CF283A Toner Cartridge – delivered FAST & FREE!